Many governments in developing countries are realising that good quality jobs matter for development. However, little attention has been paid so far to explore what actually matters for young people in terms of job characteristics and employment conditions. Today, in many developing and emerging countries, a key development challenge is that existing jobs do not live up to youth aspirations.This study revisits youth labour market performance and the quality of jobs in developing countries. It places youth employment preferences at the forefront and answers the following questions. What is the nature of youth careers aspirations and job-related drivers of job satisfaction? What shapes such employment preferences? How likely will young people be able to meet their job aspirations? 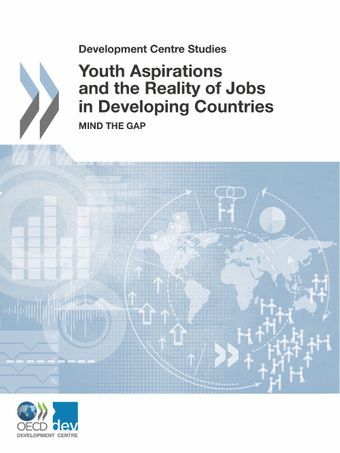 What policy makers can do to reduce the gap between youth preferences and the reality of jobs?The study draws on the comprehensive data from school-to-work transition surveys in 32 developing and transition countries in Africa, Asia, Europe and Latin America. It suggests a number of priority areas for policy makers to enhance youth well-being, raise labour productivity, and contain the chilling effects that unmet youth aspirations can generate on society.